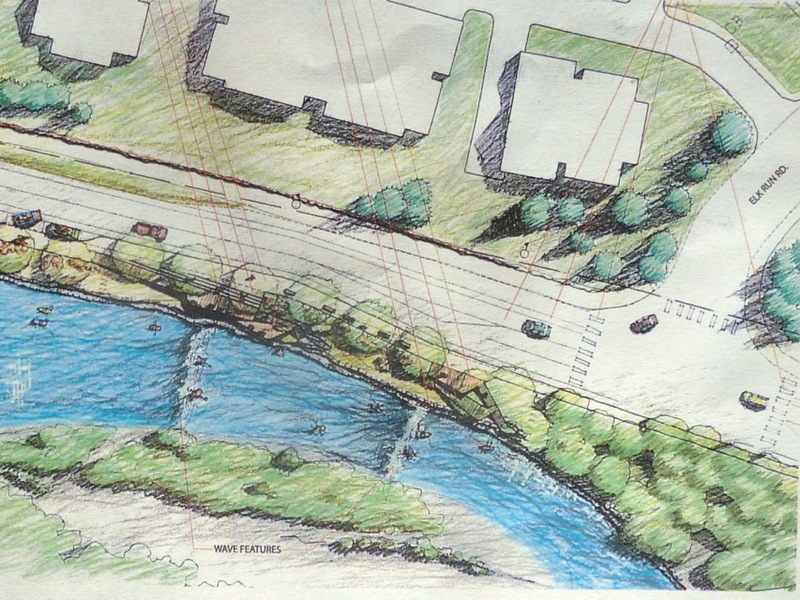 A detail of the plan of the Pitkin County Whitewater Park, across from the entrance to Elk Run in Basalt, on the Roaring Fork River. The park was designed by River Restoration, Inc. The Pitkin County Healthy Rivers and Streams Board on Thursday voted to seek approvals for, and build, a whitewater park in the Roaring Fork River across from the entrance to the Elk Run subdivision in Basalt. The board agreed to develop a detailed proposal, gain approval from Pitkin County commissioners and the town of Basalt, and to fund the project. It will cost about $750,000 to install two wave-producing concrete structures in the river and make improvements to a steep riverbank above the structures to allow for river access and viewing, according to whitewater park designer Jason Carey of River Restoration, Inc. A stripped-down version of the park, without amenities, could cost $550,000. 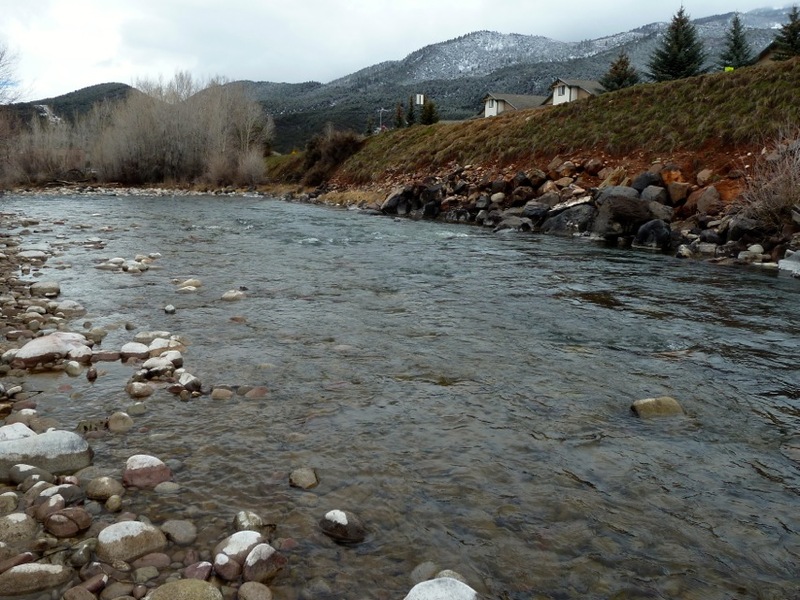 The five-year-old county river board is funded by a sales tax that brings in about $800,000 a year and it currently has $1.4 million set aside for future expenditures. The county river board previously endorsed the project in 2010, but now that a water right for the whitewater park is nearly in hand, Pitkin County Attorney John Ely encouraged the board on Thursday to commit to actually getting the project built. Carey, who designed the popular surf wave in the Colorado River in West Glenwood Springs, has been working on the “Pitkin County Whitewater Park” design since 2009. 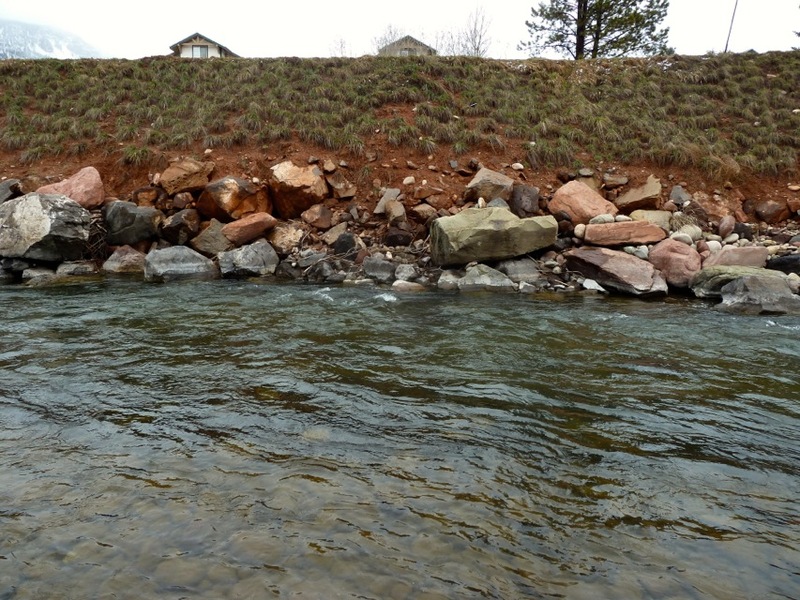 Carey said the two concrete and rock structures would be placed in the river along a steep bank next to Two Rivers Road that had been eaten away by high water in 1995 and then crudely restored by CDOT. The location has other good attributes, he said, including that the river is relatively deep in this reach, compared to the rocky and shallow stretches above and below it. “This is kind of the biggest area with pools and we end up enhancing those pools instead of trying to make pools in more of a riffle,” Carey said. The location is downstream from the low Highway 82 bypass bridge and the small put-in and take-out area across from Fisherman’s Park on Two Rivers Road. And it’s upstream of the Emma Bridge, which crosses the river next to the 7-11 store. Ely has been pushing for the idea of the park since 2008 and the Basalt town council enthusiastically endorsed a conceptual proposal in 2009, when the project had a cost estimate of $1.2 million. The county then applied in 2010 for a new water right for the park, and the healthy rivers board has supported that effort with about $100,000 in funding. Ely said Thursday he expects that process to be concluded in a couple of months, after wrapping up details with the last opposing party in the case, Colorado Springs Utilities, which diverts water off the top of the Fork. Once the water court case is wrapped up, the county would soon have the right to call for between 240 and 1,350 cubic feet per second of water to come downstream to the park between April 15 and Labor Day, with peak flows limited to between June 11 and June 25. Most years, though, there will be plenty of water in the river to create surf waves in the park, and the county won’t have to exercise its water right and call for water, according to Lee Rozakalis, a consulting hydrologist with AMEC, who has been working on the park for the county. The two structures will create waves that are rated as either beginner or intermediate, according to Carey, although in flows above 1,500 cfs the upper structure could create a wave worthy of an expert rating. The county river board also held a brief executive session on Thursday to discuss potentially acquiring a small privately-owned parcel of land on the west side of the river across from proposed water park. The parcel that the board is thought to have discussed behind closed doors is located at the end of Emma Road on a cul-de-sac in a subdivision called the Basalt Commercial Center, just upvalley from Stubbies. The parcel is listed for sale by Setterfield and Bright, and real estate broker Galen Bright said Saturday the price was $179,000. It was foreclosed on by a Colorado bank years ago and is now owned by Realty Management Group, LLC of Denver. 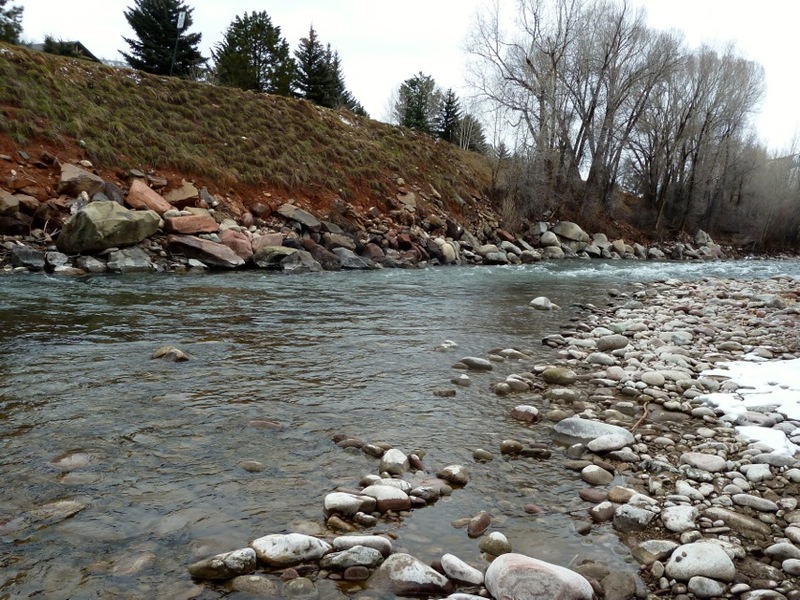 The town of Basalt currently owns a parcel of open space between the private parcel and the river, and Pitkin County owns a triangle of open space just upstream of it. Greg Poschman, a member of the county Healthy Rivers and Stream Board, said it might make more sense to provide access to the proposed whitewater park from that side of the river — river left in boating terms — than to access it from the steep bank on river right, across from the entrance to Elk Run along Two Rivers Road. “The potential of something great for Basalt as a riverfront community is there,” Poschman said. “It is actually a great candidate for a park,” he said. Editor’s note: Aspen Journalism’s Water Desk and the Aspen Daily News are collaborating on coverage of rivers and water. The Daily News published this story on Monday, March 24, 2014.